Worldwide smartphone sales grew by almost 16% in the second quarter of the year, although sales growth is slowing, says analyst Gartner. Smartphone sales totalled 32.2 million units in the second quarter, a 15.7% increase over the second quarter of 2007. In addition, of all mobile device sales, smartphones' share remained stable at 11%, said the analyst. "Although global smartphone sales to end-users in the first half of 2008 reached 64 million units, up 22% on the first six months of 2007, sales increased at a lower rate than last year," said Gartner analyst Roberta Cozza. "The current economic environment continues to negatively impact the market, limiting consumer spending and replacement purchases in general," she added. Cozza said that smartphone sales growth had slowed as a result of "new, compelling touch technology, mainly available on enhanced phones based on proprietary operating systems, rather than smartphones". 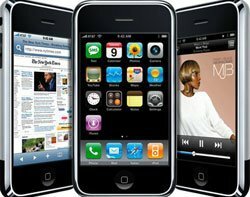 Wider availability of new touch smartphone models, including the global introduction of the iPhone 3G, is expected to help sales of smartphones return to stronger growth in the third quarter of 2008. Nokia remained the number one provider of smartphones, with a 47.5% market share, but its year-on-year growth was about half the market average. Nokia faced greater competition in the consumer smartphone market, which had an impact on its year-on-year performance. BlackBerry maker RIM was the number two provider, followed by HTC. Symbian remained the leading smartphone operating system, followed by BlackBerry, Windows Mobile and Linux, in that order.